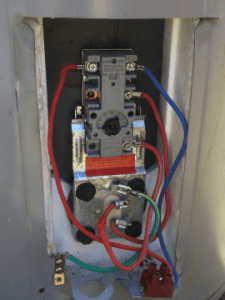 Before replacing any parts on a hot water storage tank the electrical components need to be tested. Checking the thermostat and element for continuity and consuming the correct current. Our company Abundant Hot Water provides a hot water system service which includes Electrical Testing. A thermostat is the component which senses the temperature of a hot water system so that the system’s temperature is maintained at a desired temperature. The thermostat does this by switching the heating element on or off to maintain the correct temperature. Hot water systems thermostat are set to a minimum of 60c, this is to kill bacteria that breeds in tanks. Excessively high temperatures can waste both electricity and money. However in winter hotter tank temperature can make your tank supply last longer. The thermostat controls the temperature of the water stored in the storage tank. 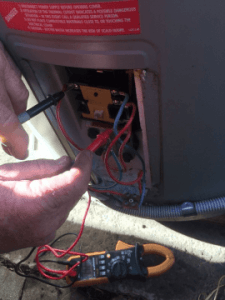 In most cases the thermostat can short circuit and burn out then need replacing. It is recommended to use an electrical testing device to check for any live current running through the broken device before touching it for replacing. Our company Abundant Hot Water provides a hot water system service which includes Thermostats. The Anode Rod is a magnesium composite rod which is inserted into a hot water storage tank to assist in the prevention of corrosion inside the hot water tank. The anode rod is to help reduce the corrosive effect caused by electrolysis. 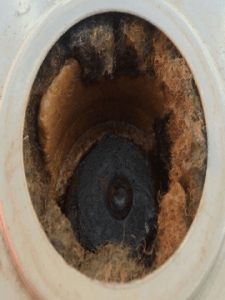 Replacing the anode rod in a hot water system before it fails can slow down corrosion inside the tank and significantly extend the life of the water heater, sometimes even doubling it. Our company Abundant Hot Water provides a hot water system service which includes Anode Rods. When the hot water is running short there can be a leak in the hot water pipes. The first thing to do is turn off the water at the mains. Then turn off the switch marked “hot water” in the circuit board. If the pipes coupled to your hot water system are leaking, the pipes need replacing or welding. A visible leak can be fixed with a welding tool or cutting and replacing a small section of the pipes. In some cases the pipes are run through the concrete. If the hot water is leaking into the concrete then you can check by placing you hand on the ground to feel if it is warm. Our company Abundant Hot Water provides a hot water system service which includes Leaking Hot Water Pipes. The Pressure Relief valve is used to release the upsurge in pressure produced by water expansion throughout the hot water heating cycle. The pressure relief valve is also used when the temperature cut-out device ceases to operate correctly. The valve will then relieve the increase in pressure by liberating drops of warm water to the drain line. 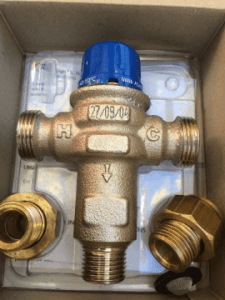 The pressure relief valve can be manually operated but please be concerned for your safety as hot water can release from the valve with steam. Our company Abundant Hot Water provides a hot water system service which includes Pressure Relief Valves. Tempering valves (hot water mixing valves) provide vital scald protection. A tempering valve mixes hot water with cold water to deliver tempered water at a constant temperature. This tempered water is piped to the areas where accidents most often happen ie. the bathrooms. 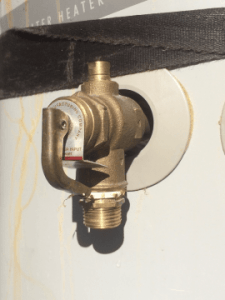 In NSW a tempering valve is a legal requirement for hot water storage tanks. Our company Abundant Hot Water provides a hot water system service which includes Tempering Valves.